Godaddy is a commonly used domain registrar. Many people ask how to point domains to us for various services, so this walkthrough shows how to do exactly that. 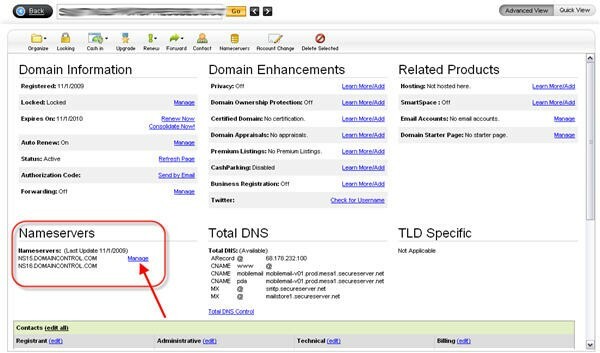 The following steps will walk you through how to Change your name servers with Godaddy.com . 1. Login to your Godaddy Account. Click "My Account". 2.In the "domains area, click the Launch button. 3. Select the domain from the list. 4. On the domain control screen, click "manage" under the nameservers area.